A good kid’s martial arts’ program in Dutchess County should offer more than just strategies for competition and self-defense. While this is, of course, the core of what martial arts’ training is usually about, a school with quality instructors like Precision MMA in Dutchess County, New York should strive to better its students in terms of their overall character, not just their fighting skills. When it comes to kids’ programs in particular, many Martial Arts gyms forget the importance of this idea and teach the children in the same way they teach the adults, not realizing that kids these days are in desperate need of role models and positive reinforcement. 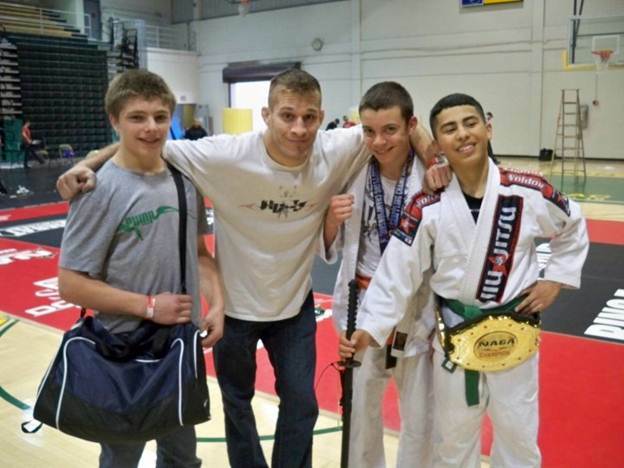 Precision MMA’s kid’s martial arts program in Dutchess County sets itself apart from these other gyms by focusing on its kids’ programs as separate entities and trying hard to instill good values in the younger generations. Many kids’ martial arts’ instructors in Dutchess County, New York treat the children just as if they were smaller adults: they consider their training on the mat to be separate from all their other endeavors in life and teach them that their training ends when they leave the dojo. What they fail to realize is that adults have already gone through a maturing process that kids have not yet undergone. Adults who train martial arts usually do so at the end of a long work day. They have already finished school, have given back to their communities in various ways and many have families. As such, they have less need for positive role models who can help them to further their stations in life as they already have their priorities in check. However, kids who do martial arts in Dutchess County, New York are no different than most: they would rather play video games than do their homework, they see no reason for doing community service and they are often not rewarded properly for getting good grades in school. At Precision MMA in Dutchess County our Kid’s Martial Arts’ instructors offer incentive for students doing well in school. For example, all students who make it onto the honor rule are given free private lessons with one of our Brown Belt instructors. This gets kids excited about working harder in school because they know that if they get better grades they will in turn get better at Jiu-Jitsu by learning new techniques. Not only this, but our head kid’s martial arts instructor in Poughkeepsie, Brian McLaughlin, has certain conditions which kids must meet outside of the dojo in order to earn their next belt. Not only must their skills on the mat be up to par, but the child must also have a high enough grade average at whatever school they are attending, they must do monthly community service, and their parents must attest to the fact that they have been doing their chores at home properly. All these conditions benefit the kids in more ways than simply making them good at martial arts. While training, the child also improves his work ethic in school, which will eventually enable him to get into a better college and land a better career, while simultaneously learning the value of helping others through community service, and improving his family life by helping out with tasks at home. As such, kid’s martial arts programs at Precision MMA in Dutchess County transform kids into well rounded adults. This puts our kids’ programs head and shoulders above the rest, and makes parents more likely to enroll their children knowing that we have more to offer than your typical dojo. Our instructors are role models who instill proper values in children which will eventually lead them to be better adults and better human beings, not just better martial artists. 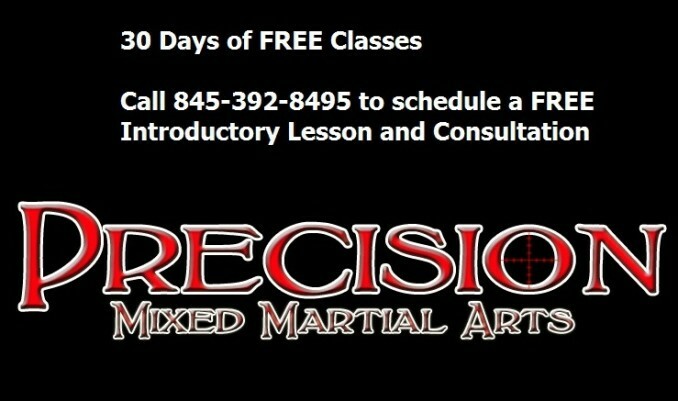 Precision Mixed Martial Arts is currently offering a 30-day FREE trial to all new kids who are joining our martial arts program. Enroll your child at Dutchess County’s best kid’s martial arts program today to help them build confidence, get into shape, and become productive members of society. To find out more, give us a call at 845-392-8495 or drop in at 1097 Route 55, Lagrangeville, NY 12540. Read about Brian McLaughlins’ 33% rule that’ll help your child improve their martial arts skills significantly by clicking here: Hudson Valley MMA.